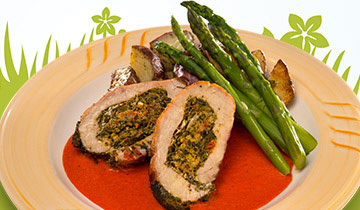 Roasted pork loin stuffed with spinach and sundries tomatoes, served with roasted red bliss potatoes and asparagus. EARN 200 POINTS AND RECEIVE IT FREE! 200 points must be earned on the day of special.